You can lose weight consistently in the Keto diet if you are serious about it. However, if you are looking to accelerate the process, there are some keto hacks for losing weight that you can apply in your life. Keto diet is great for losing weight. However, the process takes some time and requires some level of commitment and dedication. In order to consistently lose weight on the Keto diet, you need to eat the right kind of foods. 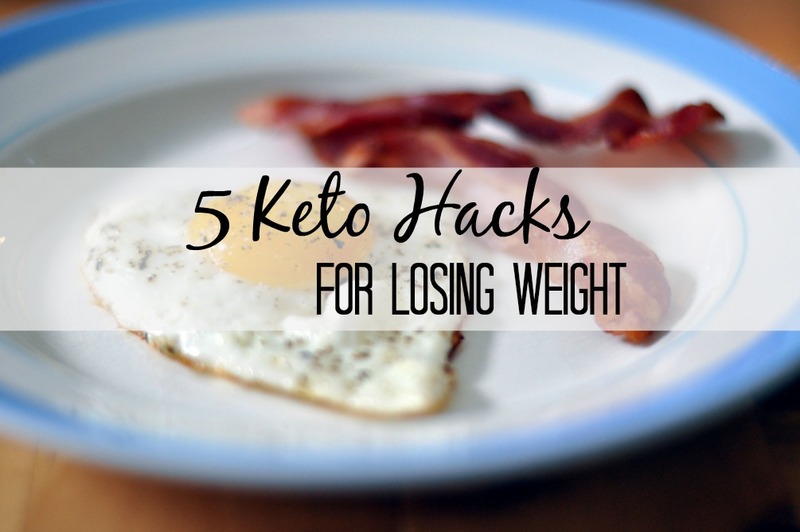 If you are looking to accelerate the process, you can try out some of these Keto hacks for losing weight. Intermittent fasting is a great way to push your body into the ketosis mood faster. Intermittent fasting implies the action of fasting at specific times during the day and eating after the time has expired. In other words, you limit the number of hours you eat and eat nothing during these hours. Then you can eat something after this period is over. The period is normally consistent and regular every day. Intermittent fasting conditions your body to eat only when you are feeling hungry. You will be able to resist the urge to snack up calorie-packed foods and this results in losing weight faster. A meal plan is important as it will keep you on track when undergoing the Ketogenic diet. This is because you will be able to know exactly what you need to eat at any time. If you operate without a plan, it can be pretty easy to get distracted and eat food that will throw you off your ketosis. Our minds are synchronized to follow patterns and when the pattern does not exist, we will normally start deviating to what we love. This means you will be looking to snack on your favorite foods and these foods could knock you off the Keto diet plan. A meal plan will also help you know exactly what to buy when you go shopping for food. If your body is in the ketosis state, you will be losing a lot of liquid during the first few days of this state. The stored water is used alongside glycogen and excess is taken out of the body through urine. Sodium salts, dissolved in the water also leave the body. Our bodies need this water and the sodium salts to keep some hormones in check and you need to keep replenishing the lost water. Drinking an electrolyte will help restore the salts and keep everything in perspective. Water is important for metabolism as well. Sleep is important in the regulation of circadian rhythm and we should get as much sleep as possible. The metabolic process also works great when we are rested and sleeping. Remember that your body is really trying to adapt to the new foods and the metabolic process could be off. Sleep will do wonders here. If you are in Ketosis, your body will be using fats as a source of energy after the depletion of glycogen. You need to keep providing energy to the body and this is where the fat bombs come in handy. The fats will be broken down into ketones and this will speed up the weight loss process. I seriously need to start doing this.